Urging women to concentrate on moving forward rather than “up,” Ping Fu, chief strategy officer for 3D Systems, described life as a mountain range that needs to be scaled. “Forget about this glass ceiling stuff,” she said at a May 29 Washington, D.C., panel discussion on women, democracy and technology. Fu and other panelists discussed how technology is changing the way citizens communicate with their governments and how it can be used to open more opportunities for women in politics. Other speakers were former Secretary of State Madeleine Albright, NDI chairman; Shelly Esque, vice president of Intel; Stephanie Cutter, former deputy campaign manager for President Obama’s 2012 campaign and partner at Precision Strategies; and Laura Inés López Padilla, president of the board of Mexico’s Network of Support for Women Municipal Leaders (REAMM). Tina Brown, editor-in-chief of The Daily Beast and Newsweek, moderated the panel, which was hosted by NDI. The panel preceded NDI’s annual Madeleine K. Albright Award Luncheon, where López Padilla accepted a $25,000 grant, named in the secretary’s honor, on behalf of REAMM for its efforts to increase women’s political participation in Mexico, including a successful campaign on political party funding for women’s leadership training. 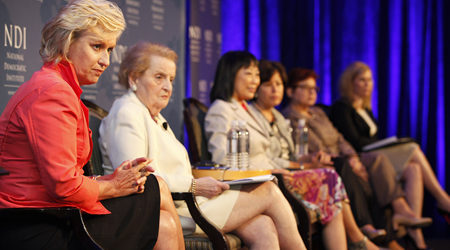 From left to right: Tina Brown, editor-in-chief of The Daily Beast and Newsweek; Madeleine Albright, former Secretary of State and NDI chairman; Ping Fu, chief strategy officer at 3D Systems; Shelly Esque, vice president at Intel Corporation; Laura Inés López Padilla, president of the board of REAMM; Stephanie Cutter, former deputy campaign manager for the Obama 2012 campaign and partner at Precision Strategies. Photo by Chan Chao. Abigail Disney, American filmmaker and philanthropist, gave the keynote address, saying that “no group of people has ever been better suited to the current technological changes than women. 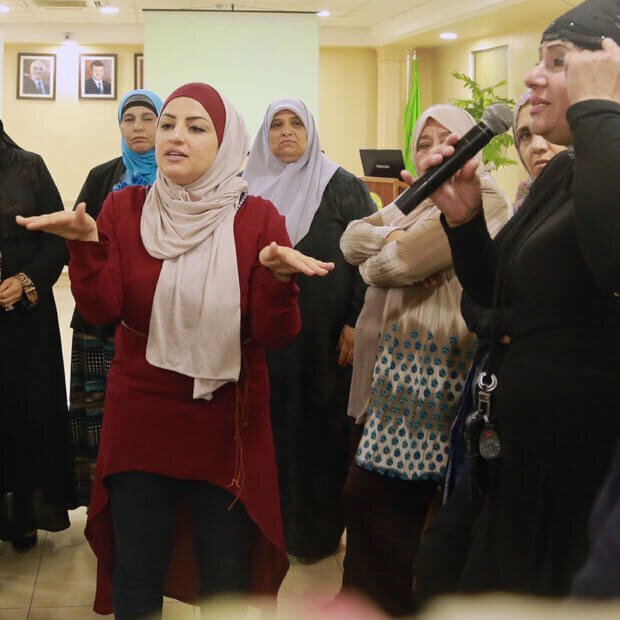 The group also talked about the challenges facing women seeking to take advantage of technology, especially in regions where limited education and Internet access, social constraints or general fear of the unknown keep women from using the Internet to empower themselves. Esque discussed Intel’s “Women and the Web” study, which explored the gap in Internet and technology access between men and women. “It’s this combination of first of all how to get women into politics, and then how to use technology to really move the process forward,” said Albright, who stressed the importance of using technology in a way that mitigates the gender gap, rather than perpetuating it. Despite the power of technology to connect and empower women, panelists acknowledged the challenges of educating them, especially in developing countries, to take advantage of it. “It’s hard explaining to people that technology is their friend when they don’t know how to use it,” Albright said. Fu discussed her personal story of using technology to overcome cultural and language barriers, and urged that all women have the ability to use technology to solve problems. During the luncheon, NDI staff member Hodan Ahmed of Somalia talked about her experiences working with Somali women parliamentarians to address issues such as HIV/AIDS and a successful campaign with parliament and civil society representatives to enact a law barring female genital mutilation (FGM). Ahmed is the 2013 recipient of NDI’s Andi Parhamovich Fellowship, named after an NDI staff member killed in Iraq in 2007 and awarded to a young woman from an NDI field office or partner organization who has advanced the political participation of women in her home country. 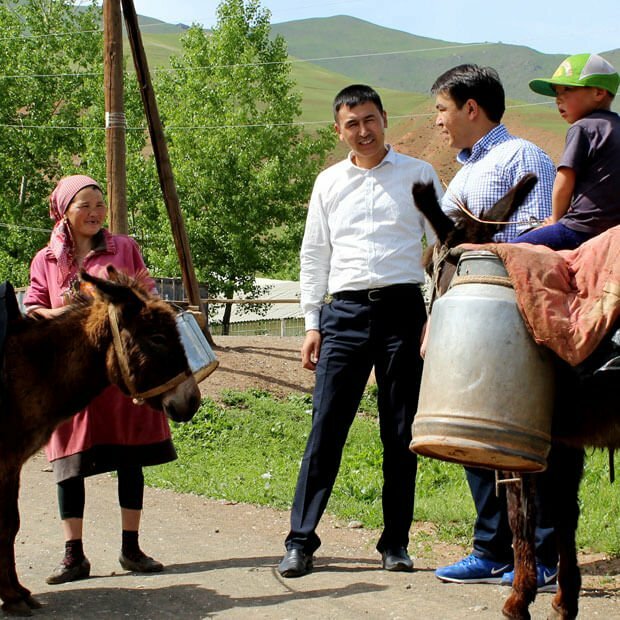 “You can’t make long-term improvements to peoples’ lives without having the politicians and the political institutions make those issues a priority,” said Ahmed. “This was such a remarkable victory for me personally. But I also know that it is not yet time to rest. We have a long way to go!” she said. Ahmed’s remarks concluded with the announcement of the Madeleine K. Albright project, a new global fund in honor of NDI’s chairman that will support and enhance the Institute’s work helping women globally to participate, compete and lead in democratic politics. 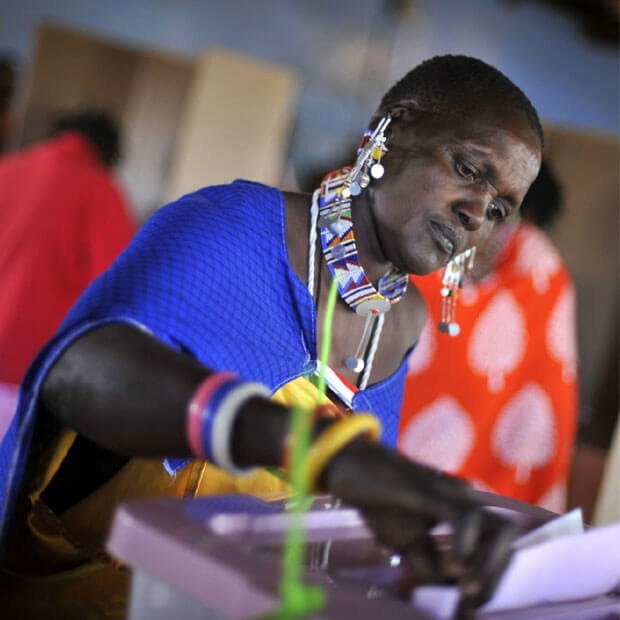 Watch the panel discussion: Women, Technology and Democracy: How Women are Being Impacted by Technology Around the Globe.